Know about Aishwarya Rai's profile and her film background by reading her biography. Date of Birth: 1st November, 1973, Mangalore (Karnataka), India. Nick Name: Ash, Gullu, Aishu. The Beauty Queen, Aishwarya Rai was born in a traditional south Indian family. She got her education at Mumbai (Bombay) and started modeling during her graduation. Aishwarya became a household name in India when she featured in Pepsi advertisement with Mahima Chaudhary. This gorgeous model was now set to rock the world with her beauty and intelligence. Aishwarya Rai took the glamour world by storm by winning the Miss World crown at Sun City in 1994. The leading directors of Bollywood were soon lined up to work with Ash. Aishwarya Rai made her debut with Mani Ratnam's "Iruvar" (Tamil). 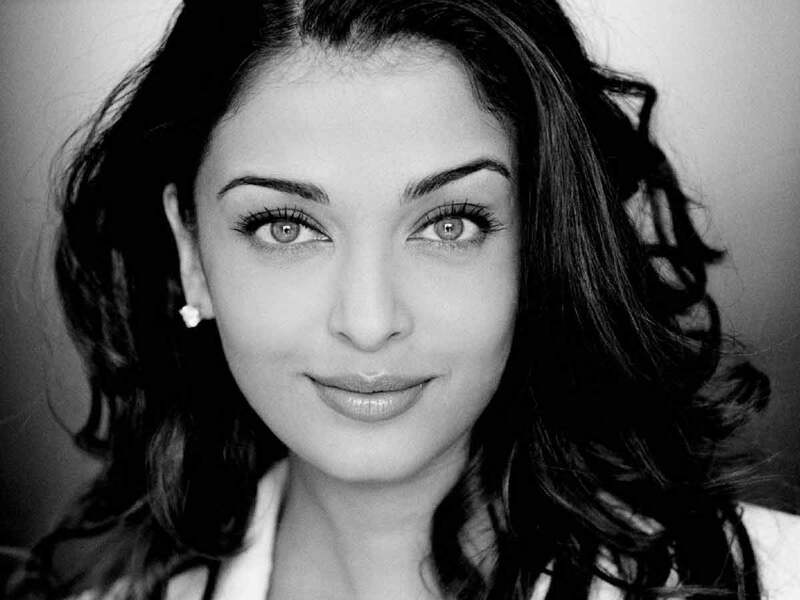 Aishwarya received critical acclaim for her performance in "Iruvar". She was introduced to Bollywood by film director Rahul Rawail in his film"Aur Pyar Ho Gaya" and she won the Best Female Debutant Award for her performance in this film. The turning point in her acting career came with Sanjay Leela Bhansali's " Hum Dil De Chuke Sanam" and she went on to win International Indian Film Academy Best Actress award and the Fimlfare Best Actress Award for her performance. Aishwarya did a number of movies with different directors such as Aditya Chopra (Mohabbatein) and Satish kaushik (Hamara Dil Aap Ke Pas Hai). Aishwarya again worked with Sanjay Leela Bhansali in the film "Devdas" which became memorable in a number of ways- "Devdas" was the biggest blockbuster of the film Industry and the first Bollywood movie to have special screening at Canne's Film Festival. Later, Ash was made a member of the jury at the Cannes Film Festival, the first Indian actress to have this honour. She also featured on the covers of India Today and the Time Magazine. Time Magazine has also listed her in their list of the "100 Most Influential People in the World Today". She also became the first Indian female actress to be immortalized in wax at the world famous Madame Tussaud's wax museum in London. Aishwarya is married to Bollywood star Abhisekh Bachchan. Jodhaa Akbar, Provoked, Guru, Dhoom 2, Umrao Jaan, The Mistress Of Spices The Last Legion, Saamna, Bunty Aur Babli, Shabd, Raincoat, Balle Balle! From Amritsar To L.A, Kyun! Ho Gaya Na, Khakee, Kuch Naa Kaho, Dil Ka Rishta Chokher Bali, Shakti, Devdas, 23rd March 1931 Shaheed, Hum Kisi Se Kum Nahin, Hum Tumhare Hain Sanam, Albela, Mohabbatein, Dhaai Akshar Prem Ke Hamara Dil Aapke Paas Hai, Josh, Hum Panchhi Ek Daal Ke, Taal, Hum Dil De Chuke Sanam, Aa Ab Laut Chalen and Aur Pyaar Ho Gaya. A Tulip named after her name. Ash turned down the role opposite Jackie Chan in the movie "Time Breaker". She made her first commercial for Camlin Pencil when she was in 9th grade. She suffered an accident on the sets of "Khakee" when a car driven by a stuntman got out of control. Aishwarya Rai is now married to Bollywood star Abhishek Bachchan, son of the Bollywood superstar Amitabh Bachchan.